Hello! 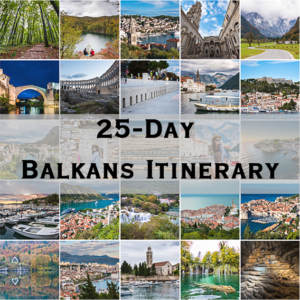 Here’s a short post of our Eastern Europe travelogue! After our breakfast and checking out of our accommodation, we continued our journey in the Julian Alps. 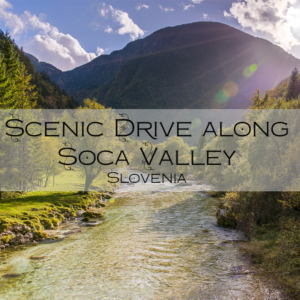 Our first stop – hiking to the source of Soča River! 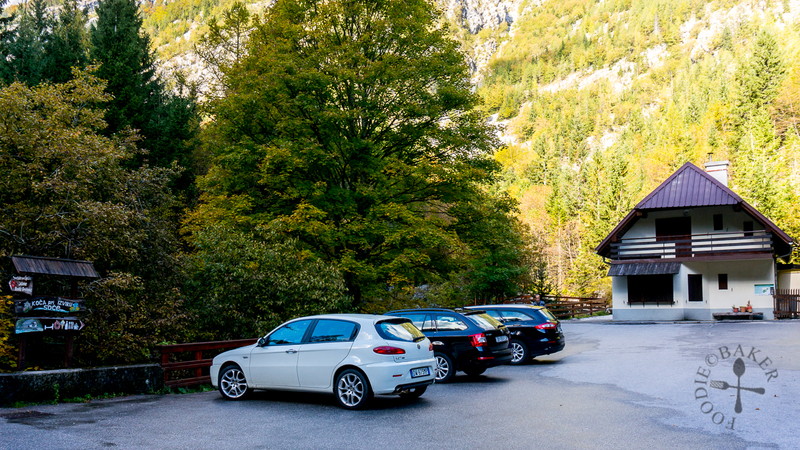 The parking lot for the hike is at the Koča Pri Izviru Soče mountain hut. The mountain hut used to be an Italian military building, but was reconstructed into a mountain hut in 1953. 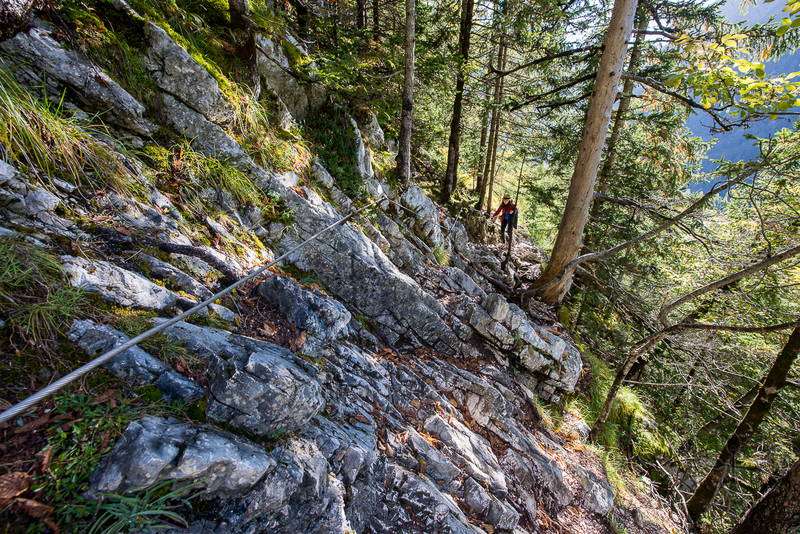 It is also the starting point of the Soča Trail. The mountain hut opens from early May to end of September – some websites mentioned that it’s opened until October but it was close when we were there. Besides accommodation, there’s also a restaurant and a souvenir shop in the mountain hut. 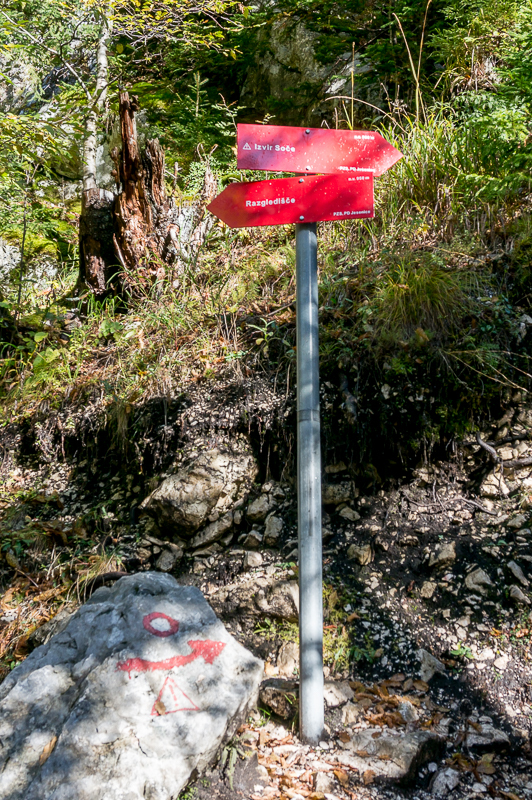 The hiking path starts behind the mountain hut and is well-marked with signs. The hike is easy at the start, and after about 10 to 15 minutes, there is a viewpoint for photos. 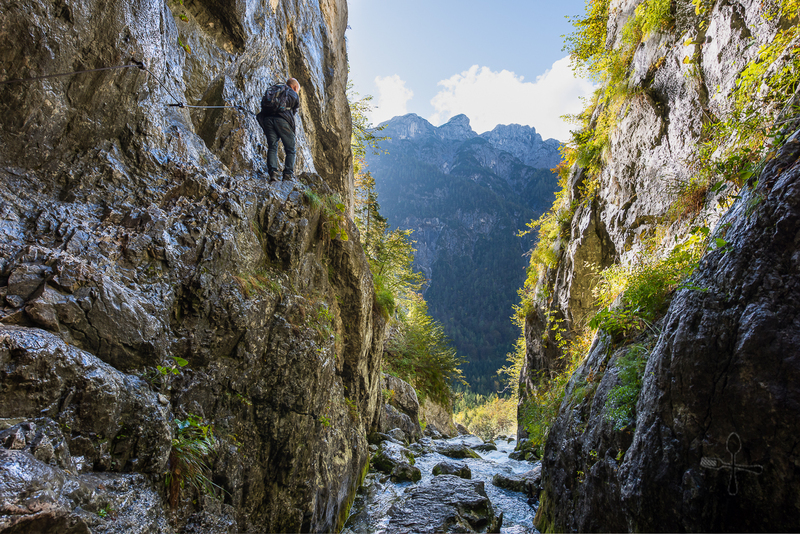 From there, the hike becomes a steeper ascend on a narrow path, with steel cables secured onto the rocks as assistance. 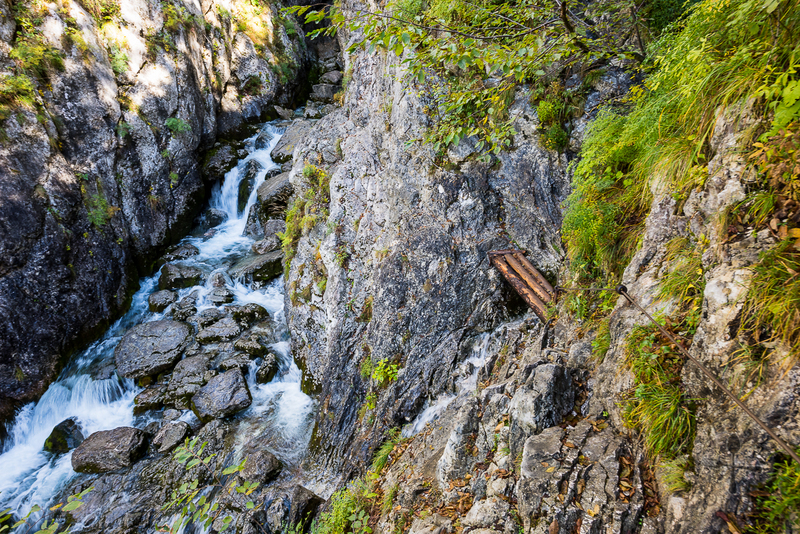 The narrow path – thankfully there weren’t a lot of hikers that morning! 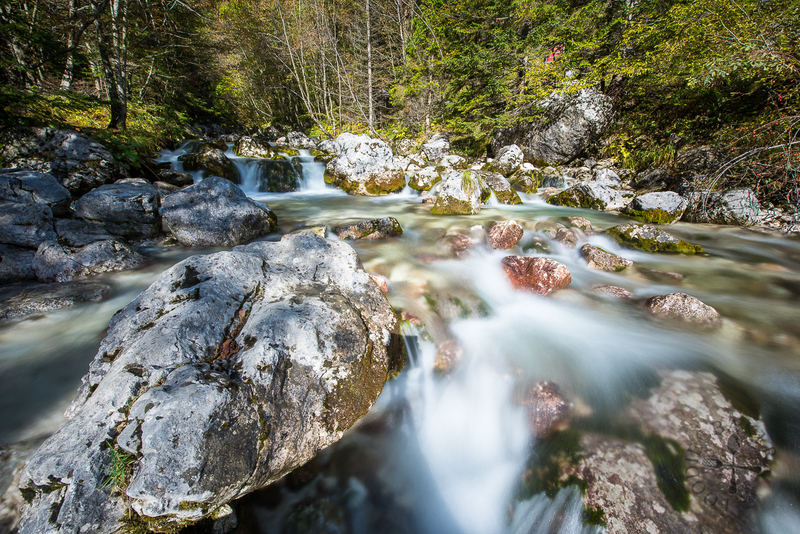 The source of Soča River (Izvir Soče in Slovenian) lies in Trenta Valley in the Julian Alps at 876 metres above sea level. 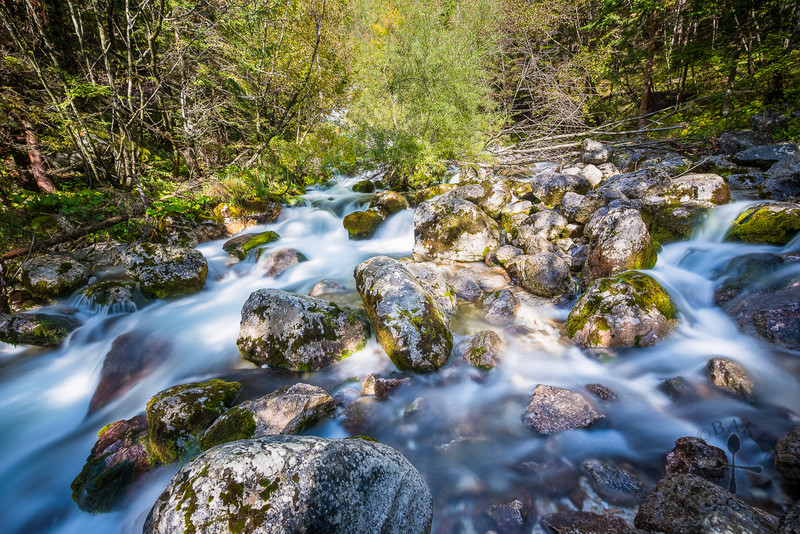 The water flows in from the mountains Jalovec, Travnik, Šite and Mojstrovka and gushes out from underground, before it flows down through a series of waterfalls and cascades into the 138-kilometre long river. 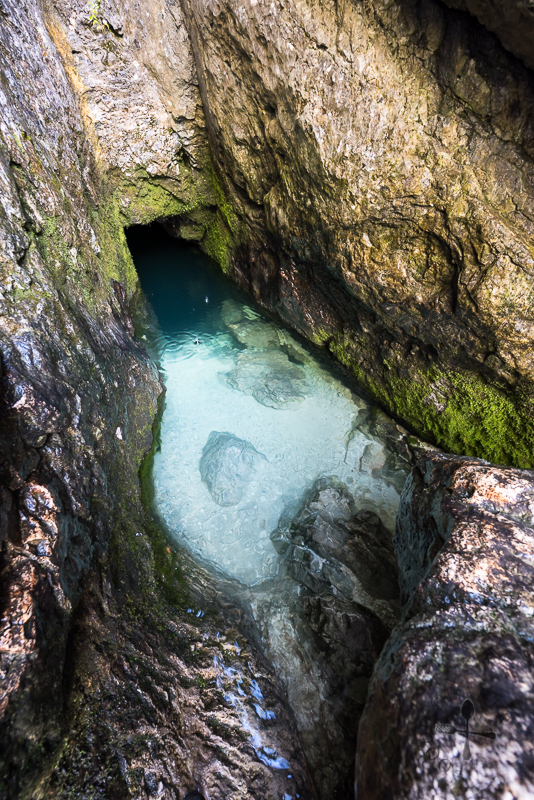 The spring is not huge but the water is so beautifully crystal clear that it’s simply stunning. Apparently during late spring and summer, mountain flowers will be popping everywhere – I’m sure it’s an even more beautiful sight! Here’s a GIF of me hiking back (it will take some time to load at the start)! The hike may not be suitable for those with cremnophobia (fear of steep cliffs) and acrophobia (fear of heights) but X and I enjoyed this hike tremendously because it’s really fun and interesting. Here are the details of the place and I’ll see you at the next travelogue! Public transport: Public buses run from mid-June to mid-September. Search for the bus schedule here (destination is Izvir Soče K). From the bus stop, it takes about 30 minutes to walk to the mountain hut. 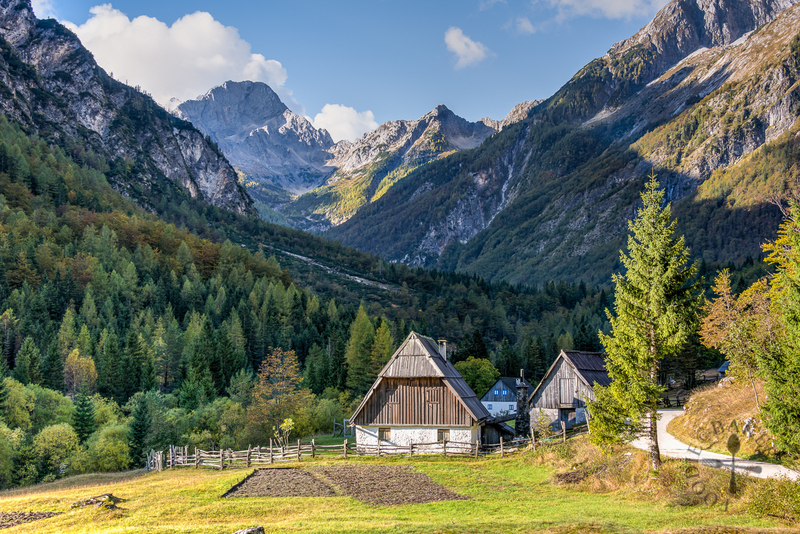 Facilities: No public toilets, though there is a mountain hut at the start of the hike with a restaurant and souvenir shop. However it is open only from May to September. Difficulty: Moderate. The hike is relatively short with a little climbing. Some parts of the hike is along the steep cliff, so may not be suitable for some. Essential: Hiking boots. 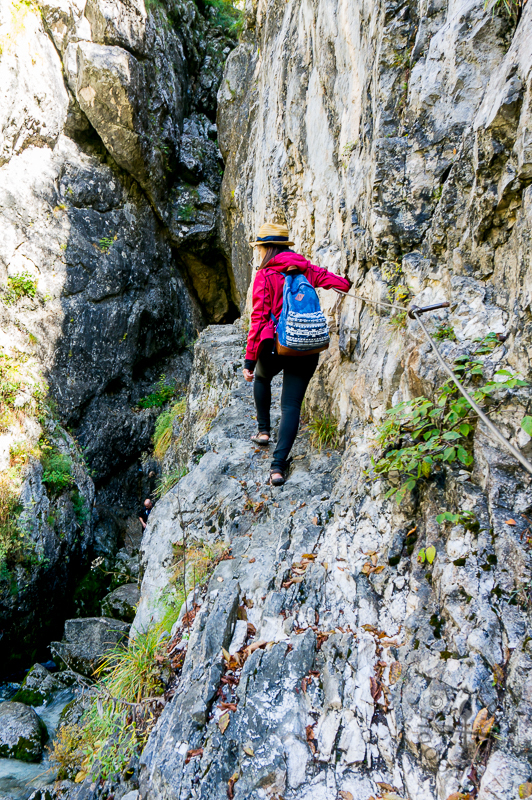 The path may be slippery and you will need a good grip as you are walking along the cliff.